"A place that keeps traditional charm, whilst oozing in luxury. 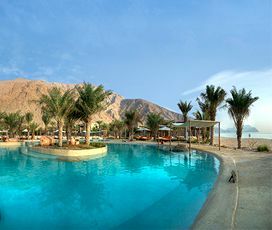 Both breath-taking and magical, Oman is hidden gem just waiting to be discovered." 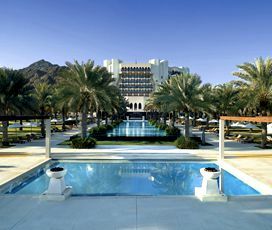 Oman is probably one of the best kept secrets of the Middle East. 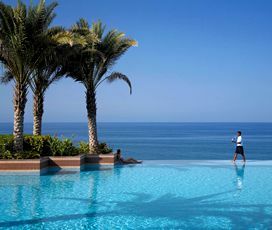 Quite often overlooked for the dazzling cities of the United Arab Emirates, the wonderful country of Oman never quite gets the accolade it deserves. Officially the Sultanate of Oman, this spectacular Arab country sits on the Arabian Peninsula along the South Eastern coast, bordered by UAE and Saudi Arabia as its neighbours. This stunning destination rose to power between the 17th and 19th Century and features some of the most amazing Portuguese, British and even Dutch colonial architecture from Portuguese rule previously in the 16th Century. 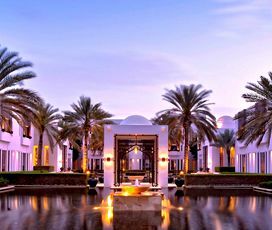 Today, Oman’s must-visit cities – including as the capital Muscat, Salalah, Sohar, Nizwa and Seeb – offer stunning architecture, great shopping, luxury hotels and resorts, fine dining, and some truly breath-taking natural sites. For many who visit, Muscat is the place to start and end; a wonderful capital filled with traditional charm and some of the best 5 star hotels in the world. The city is filled with culture and you’ll never have to look far for fine dining options, with a vast choice of delicious local cuisine or food from around the world. It has gorgeous golden beaches, ideal for beach holidays and sapphire waters that host a plethora of amazing marine species. 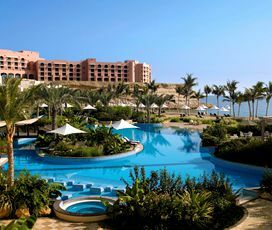 This combined with its hot beach friendly climate, traditional Arabic Souks and surprisingly varied cuisine, makes it an excellent place for family holidays, or for couples or single travellers to go and experience something different. Situated on the Arabian Peninsula, with a long coastline, it encompasses the Persian Gulf, the Arabian Sea and the Gulf of Oman. Further inland visitors will find large expanses of arid desert and small pockets of luscious green vegetation, ensuring that it offers a varied landscape. Its capital, Muscat, is a harbour city, that plays host to a large number of impressive buildings including the large Sultan Qaboos Grand Mosque. It is medium-sized with a population of around 4.4 million. 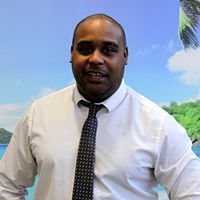 It has a hot desert climate with little rain and lots of sun and is particularly hot in the summer (June-September), when average temperatures regularly reach 35 degrees and daily maximums can go as high as 40 degrees, perfect for anyone looking for a beach holiday. Spring and Autumn are also warm with temperatures averaging between 25 degrees and 35 degrees, making it an excellent all-year-round beach destination. It gets most of its rain during winter, which comes in the form of sudden and very heavy showers. The country is the oldest independent state in the Middle East and shows signs of human habitation as far back as 100,000 years ago. This is borne out by the city of Al Wattih, which is at least 10,000 years old and was variously ruled by the Assyrians, Babylonians and Persians, who all used it as a strategic trading post. Oman was one of the few countries to freely enter the Islamic World, joining early on in the 7th century revolution that shook up most of the Arab world. It came to be dominated by the Nabhani Dynasty during this time who ruled from the middle of the 12th century until the late 15th. It was then semi-conquered by the Portuguese, who dominated the area around Muscat between 1507 and 1650, before the same region was conquered by the Ottomans, who ruled from 1581-1888. These large imperial powers were only interested in the strategic importance of Muscat’s harbour and thus did not bother to conquer the rest of the country. The country then came under the control of the Al Said dynasty, who drove the Persians back to Pakistan and still rule to this day. The country became a British protectorate in 1798 and remained that way until 1951, when it gained full independence. Because of Portuguese rule back in 1507, Oman’s architecture is now a diverse mix of colonial, traditional and ultra-modern architecture. One minute you could be strolling along the colonial streets of Muscat and the next you could have the country’s tallest skyscrapers towering over you as you shop. It was the Portuguese who transformed the future of Oman, giving the country great leverage in the spice trade; a profitable industry which led to the country’s huge success in attracting European interest. Amongst the Portuguese colonial evidence, you will also find elements of British and Dutch influences from when Oman made a contract with the British and some Dutch investors to guarantee trading rights in Oman. This was not only an industrial move, but a political move to regain power from Portugal. By 1650, Imam Sultan Bin Saif managed to expel the Portuguese from the capital city of Muscat. Oman’s culture is heavily influenced by religion and the Omani people practice their own division and subsect of Islam, which is known as Ibadhism. Visitors are expected to adhere to the country’s strict rules and etiquette at all times; although strict, tourists will be met with a deep warmth and superb hospitality that will make an indelible mark on you. Its prominent location on the old spice road, means that it has a plethora of different flavours and influences that are more varied than many other Middle Eastern Countries. Rice and bread are the traditional staples of the Omani diet, with dishes such as madrouba a soft rice dish infused with spices and chicken especially popular. They also enjoy complex biryanis; whose intricate spicing give them a unique and delicious flavour. Omani bread is also excellent and is usually unleavened or flat and can usually be eaten with hunks of grilled meat or fried with egg and cheese. Tea is the most popular drink in the country with locals tending to drink a spiced milk tea that all visitors should try during their stay. A great place for families to visit, it is a very safe country and has a plethora of excellent family activities that visitors are sure to enjoy. Foremost of these are the sapphire waters that surround it, where visitors swim or simply relax on the beach. There are also many boat trips that will allow you to see the many incredible species that call the waters home, including whales, dolphins and sea turtles. Another excellent option for children is the chance to ride a camel, which can usually be found along the seafront in most major tourist destinations. 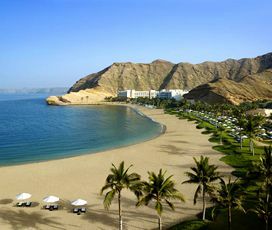 The waters around Oman are clean and the weather is hot, making it ideal for a traditional beach holiday. Visitors can relax in the cool waters or go on a boat trip to see some of the amazing creatures that call them home. Within the cities themselves there are also plenty of great activities and a visit to Muscat’s Muttrah Souk is a must, as is one to the vast Sultan Qaboos Mosque that holds up to 40,000 worshipers and is one of the largest in the Arab World. As a fairly strict Islamic country, the vast majority of the locals tend not to drink. This means that alcohol tends to be found in hotel bars rather than in cafes or clubs. The best place to go is Muscat, which has more than double the licenced pubs, bars and restaurants of anywhere else. These tend to be divided into luxury bars at luxury hotels, English styled pubs in mid-range hotels and live music bars that host either Indian or Arabian stage shows. If you are seeking a more traditional Omani experience then a coffee or tea, on the seafront, accompanied with a shisha pipe is what the locals tend to prefer. The best place to have an authentic shopping experience in Oman, is the Muttrah Souk, where thousands of small shops are concentrated in one place, selling Omani jewellery, wooden handcrafts, gold, frankincense, pottery, Arabian perfumes, silver and much, much more. There are also various more modern shopping malls, especially in the capital Muscat and other Souks situated in the Corniches of other cities.